Not very far away from the spot where I took the graffiti pictures at carrer Cornet i Mas there is Plaça Sant Vicenç de Sarrià, a small square protected by the shade of platane trees. In the center, a statue like any other. But wait, what's that he is wearing on the head?.Someone took the trouble of climbing the sculpture and disguised it with this bike helmet. Sant Vicenç is the patron of the villa of Sarria. In 1939, during the civil war the statue was beheaded and later restored. As you see its future is still at stake. 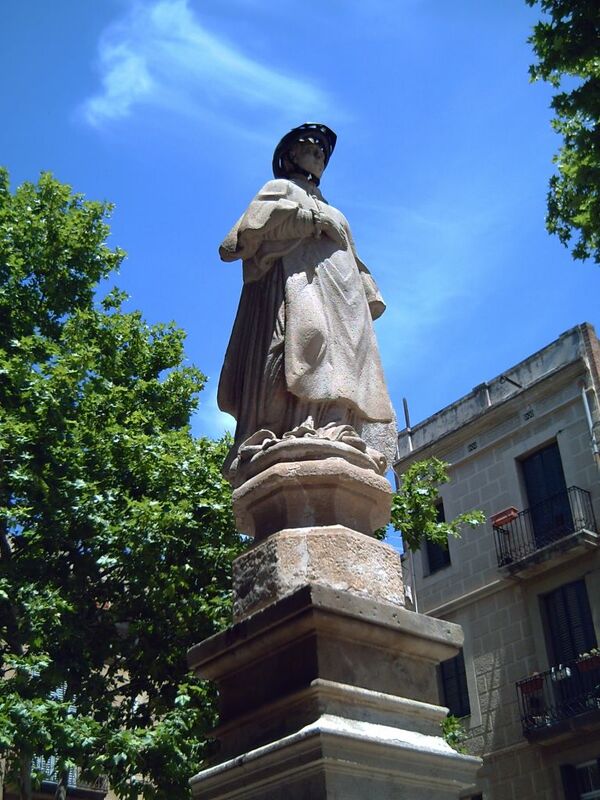 See Picture of Statue at Plaça Sant Vicenç de Sarria, Barcelona on a Google Earth Map. hi carlos, this is something i dont like to see, it's a complete lack of respect by the distinguished honorable. I see, and you are right. They could have take the helmet and wear it some other place. I hope my complaint helps in any way. Thanks Nuno. funny! must be getting hot there! is it somekind of inside joke? Well,at least they did't paint the statue, or beheaded it again. Damaging statues is a rather stupid thing;if you want to protest against something, or to raise attention, I'm sure there are better ways to achieve it. This is only the work of some brainless brat with nothing better to do, like the one's that broke the Cibeles hand here in Madrid last year. Sorry you have to endure that in beautiful Barcelona as well. >I suppose in ain´t no joke, it is just the work of some punks. In fact I shouldn't have publish the post but maybe my picture wakes up conciousness in some of these brainless guys. >Yes Carmen you are right, this is happening much too frequently in our cities. We are flying to Barcelona on Sat on the way to Roses where we will stay for 6 weeks. 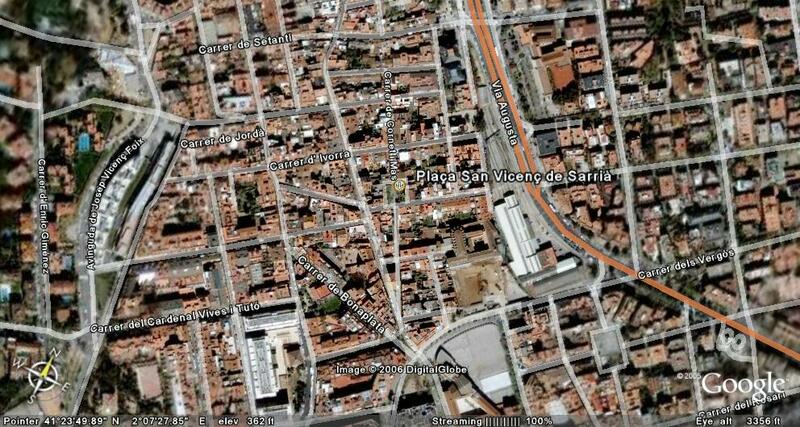 I shall look out for Sant Vicenç when I'm there. Hello Kaz, you couldn´t have chosen a better spot to stay at, Roses is a very beautiful place. It is going to be a little bit difficult to find the square. Good luck.